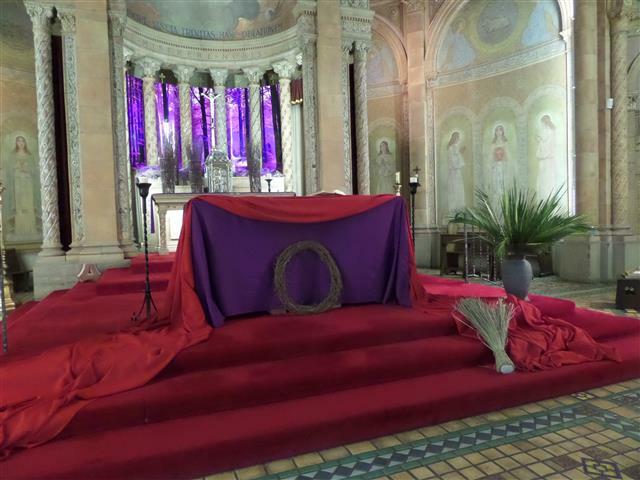 Good Friday, March 30 ~ Stations of the Cross at 2:00 p.m. ~ Solemn Good Friday Service at 3:00 p.m.
Good Friday at 6:30pm, parish volunteers will begin decorating the church for Easter. There are tasks for all skill levels, so please join us. Enter the church through the side door near the wheelchair ramp. 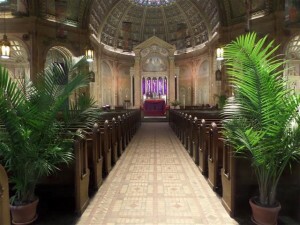 Palm Sunday Coffee Hour ~ There is a coffee hour, this Sunday, March 25, following the 10 o’clock Mass. 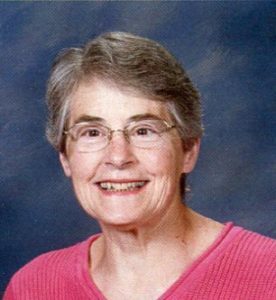 The parish council invites you to join them in honoring Amy Johnson, our 2018 recipient of the Lay Award of St. Joseph the Worker. 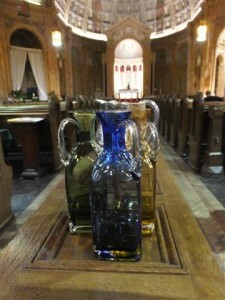 On Sunday, March 25, there will be a display of olive wood items, a fundraiser to support Catholics of the Holy Land. The hand crafted crosses, Rosaries, sculptures of the Last Supper and Holy Family and other religious items hand crafted in Jerusalem and Bethlehem may be viewed in the church vestibule. Lenten Reconciliation Service ~ The final service in our CCCB Lenten Journey is this Monday, March 26. 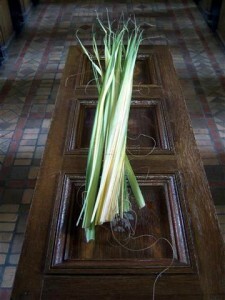 Please prepare for Holy Week by attending the Reconciliation Service scheduled for 6:30pm at Ss. 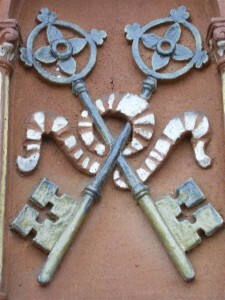 Columba-Brigid, 75 Hickory St. near Clinton. There will be another opportunity for private confessions at our church on Wednesday, March 28, from 6-8pm. 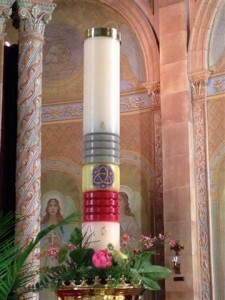 The Ladies Sodality’s meeting, normally held on the first Sunday of the month, has been rescheduled for Sunday, April 15, following the 10am Mass. Parish Agape Feast is April 8 ~ You are cordially invited to our parish family’s Agape or Love Feast on Sunday, April 8, beginning at 4pm in St. Charles Hall. Recalling the meals Jesus shared with disciples during his ministry, we hope ours will prove to be an expression of community, sharing, and fellowship for all ages. In the Agape tradition, we are asking everyone who is able to contribute something to the feast. Our 2017 Agape produced a bountiful array of salads, pasta, meat and vegetable dishes, pizza, desserts, and more. We trust that this year’s feast will be even better. Beverages will be provided. 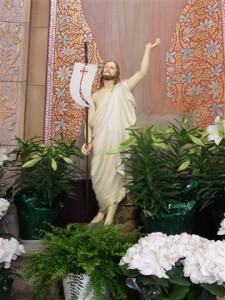 Please join in celebrating the Easter season and the family of Christ at Blessed Trinity on April 8. Holy Week Office Hours ~ There will be a change in office hours at the rectory during Holy Week. Our secretary, Pat Pendleton, will be present on Monday, Tuesday and Wednesday from 10:30am to 2:30 pm, but the office will be closed on Holy Thursday. Holy Week is especially busy for both staff and parish volunteers so, if you have any announcements to be included in the bulletin, please get them to Pat on Monday, March 26. She can be reached at 716-833-0301 or blessedtrinitychurch [at] gmail [dot] com. Lenten Series ~ Our Wednesday evening Lenten programs concluded on March 14 with “Connections: Reflection on Passover and the Lord’s Supper.” Parishioner Bob Heicklen narrated a ceremonial Seder meal, explaining its symbolism and similarities to our Eucharistic celebration. 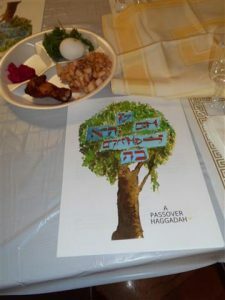 Assisted by Dan and Jacquie Korchowsky and David Folmer, we were also treated to a supper of matzo ball soup, matzo, and symbolic foods which are an integral element of the Passover festival. We are especially grateful to each of them for creating such a prayerful and memorable evening.